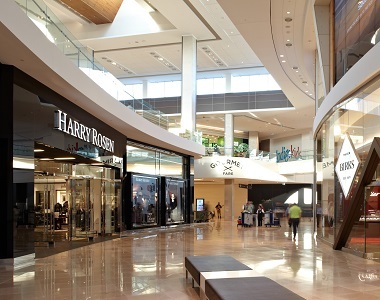 Already one of Canada’s largest malls, Toronto’s CF Sherway Gardens, has gotten even bigger. With a $550 million redevelopment and expansion of the Etobicoke mall set to be unveiled to the public on Tuesday, August 29. Designed by Cadillac Fairview’s in-house team in collaboration with Montreal-based interior designers Gervais Harding and architects of record DIALOG, the project comes on the back of a major overhaul and expansion completed in 2015. 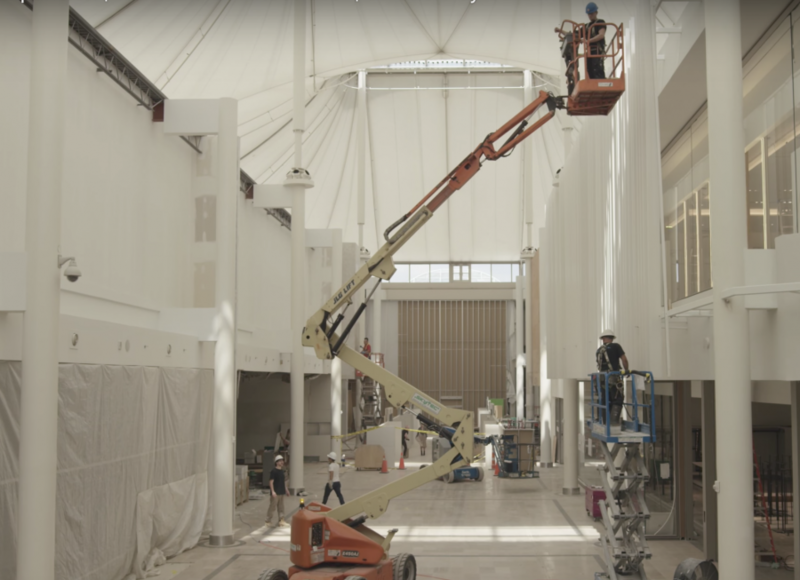 The revamped and expanded wing will be anchored by a 140,000 ft² Nordstrom, which is not slated to open until September 15. For the August 29th opening, however, Sherway Gardens’ reconstructed south hall is ready to greet visitors. A 32,000 ft² Zara will be open for business, along with Sherway’s new outlets for local and international brands including Nike, Saje, Loding, Squish, BonLook, and Danish Pastry House. While the south hall has been thoroughly rebuilt and significantly expanded, the new wing retains material continuity with older parts of the mall, which date back to the early 1970s. Throughout the new wing, French limestone remains the defining element, knitting together the mall’s numerous wings with a cohesive aesthetic language. Alongside the new south hall, improvements were made throughout the mall as part of the renovation. New lighting and seating was installed throughout, while the white tent roof structure — designed by Eberhard Zeidler and completed in 1971 — was also restored. The mall’s older French limestone flooring was also refreshed, enhancing the material’s prominence.